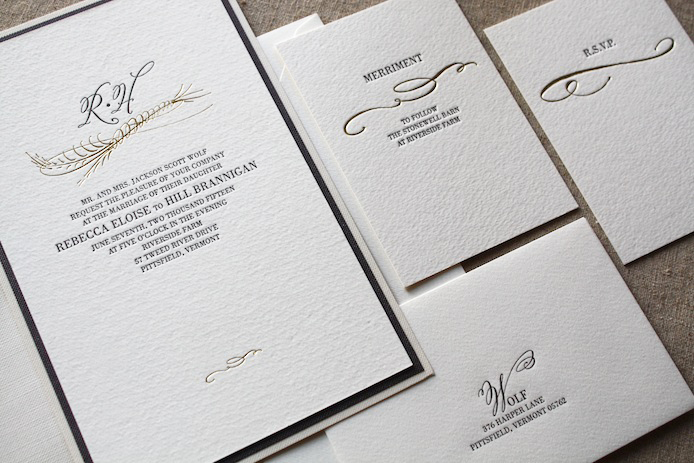 Page Stationery is known for their elegant simplicity. 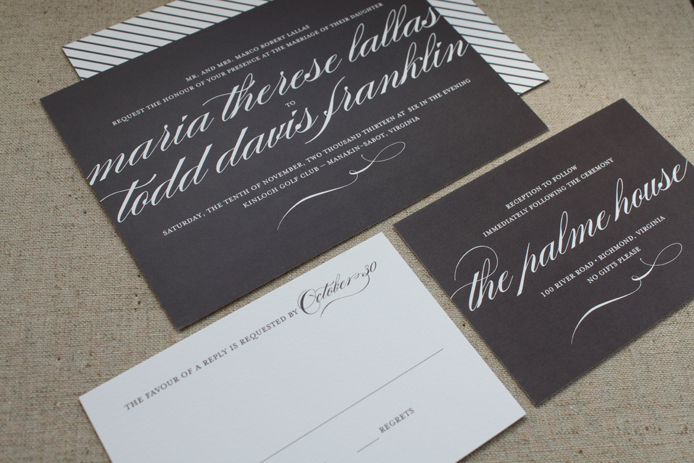 They offer an amazing selection of letterpress and digital invitations, stationery, baby announcements, holiday cards, and more. 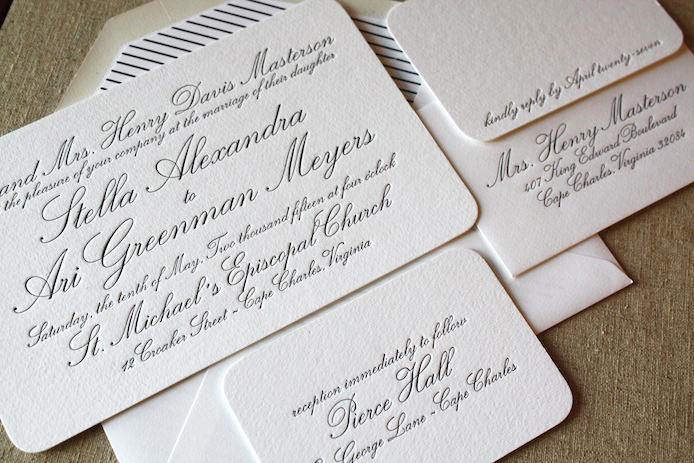 The highlights: classic letterpress wedding designs for the traditional couple, duplexing and back pockets to get a layered effect, digital printing (think adding a family photo to your holiday cards), and an great selection of patterns.